“I want to be a maiko!” many girls dream of this. 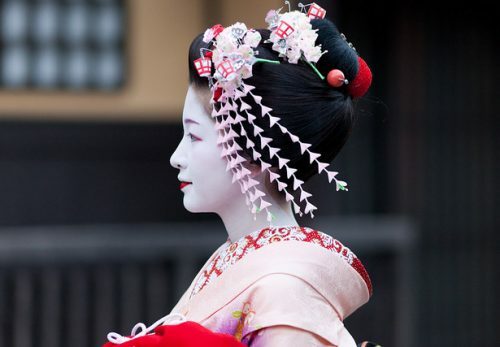 These days, the maiko experience is a popular attraction of Kyoto tourism. 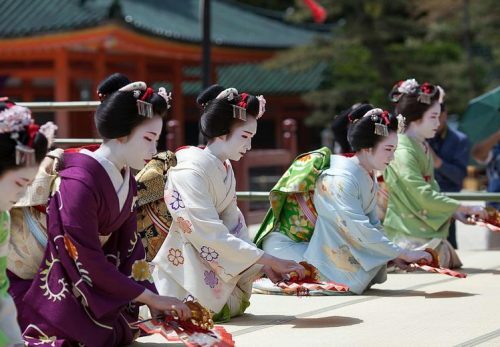 Visitors enjoy the beautiful moment of the girls as maiko and as they go back to their daily life. 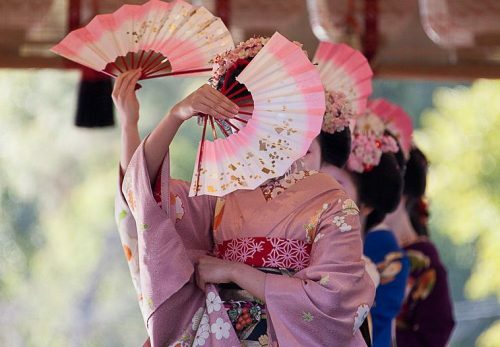 This maiko experience is a big boom and it shows how popular maiko are. But for girls who knock on the door of okiya with firm determination, it is a real story. 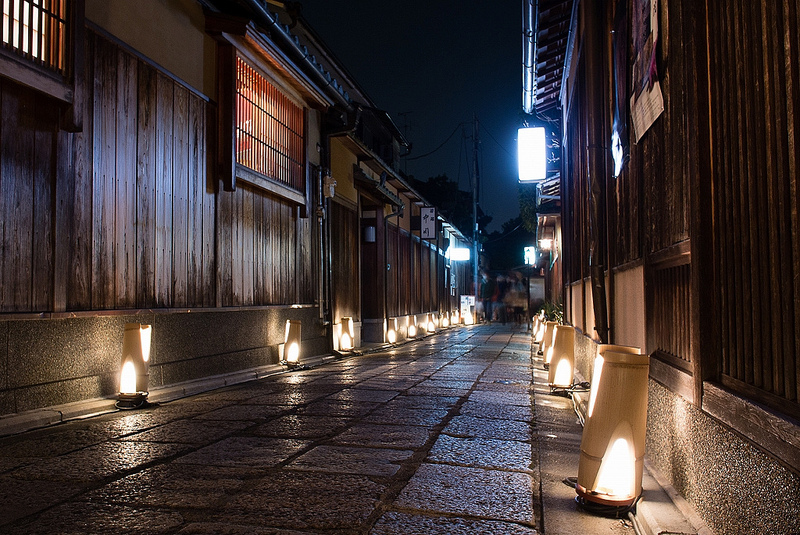 However, a proprietress of an okiya (geisha house) says. Not only girls who want to be maiko go through tough days. So do their parents. Parents also make a tough decision when their daughter leaves home. They feel a long distance from their daughter because they cannot meet often. If she studied abroad or got married, the distance would not be so far. On the day a girl enters okiya, the proprietress becomes her mother. If you have the chance to see a real maiko in hanamachi, please think of this: She has more courage, guts, and patience. The preparation period starts at an okiya. The period is from six months to a year, according to each hanamachi. They learn a lot of things through the life of okiya. During the period, girls are called “Shikomi-san”. Short hair girls start growing their hair. Long hair girls bind the hair and make a dumpling covered by a net. They usually wear jeans and a t-shirt so that they can be active. Dance training doesn’t start yet. They clean the house, do other work, and help big sisters. They work all day long, from the morning to night. They can’t have a rest at all. What’s more, they must speak in Kyoto accent. Some girls make flashcards and compare Kyoto accent with their local words. They also study various meanings that a word has. Shikomi is the period when painful efforts start. The most important thing to learn is to say “yes, mum” to the proprietress and big sisters and accept whatever they say. Girls know a world where they cannot argue an opinion in their daily practice. 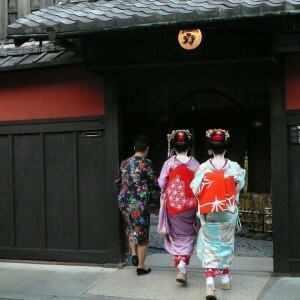 Girls go to a tea house as trainee for a month after the day of misedashi is set. Her okia ask the teahouse to train her and she learns a lot of things there. She wears white makeup and maiko costume and goes to the tea house every day. She looks like a maiko but one thing is different from maiko. It is the obi. She wears a half-length darari obi which is called “han dara” obi. A shikomi girl knows only her big sisters who belong to the same okiya. But a minarai girl gets acquainted with other big sisters, mothers of tea houses, and waitresses during the period while learning the atmosphere of zashiki rooms. She meets guests and sees how the big sisters entertain guests. The period is like practicing teaching in the education field. A maiko said “I was very nervous every night. I was not accustomed to the high pillow to keep my hairdo and I was not able to sleep well. When a girl puts on a darari obi, it is the day of her maiko debut. She is allowed to wear a big turtle shell hairpin which is called “daikan”. This hairpin has been handed over for generations in the okiya. She wears two silver shining dangling hairpins on both sides of her head. She also wears black formal kimono with crests and three pointed white makeup on the back of her neck. A pair of gold and silver hair ornaments is set under the hair’s topknot. The ornaments are called “miokuri”. They are special accessories for the day of misedashi. She visits dance teachers and tea houses in hanamachi. Men staff, her mentor sister, or assistant…depending on which hanamachi the girl belongs to, accompany her. Red and white paper is put on the wall of the okiya. This is the list of gifts. Auspicious pictures such as treasure boat and sea bream are painted on the paper. In front of the paper, the mother hits flints and the maiko starts visiting. 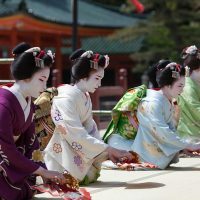 She exchanges a cup with her mentor geiko, other geiko, and senior maiko. This is an important ceremony to become ritual sisters. 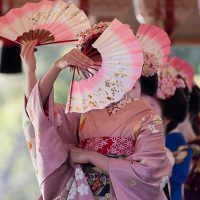 When a girl knocked on the door of an okiya, she dreamed of her maiko appearance. The day has finally come. This is the day when new life starts, too.